Today, plaintiffs’ counsel in the Wells Fargo unwanted auto insurance lawsuit filed a notice informing the court that a settlement had been reached. 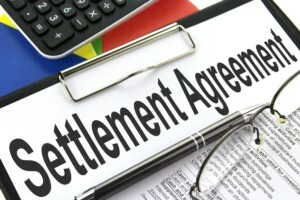 The notice stated that the plaintiffs’ counsel would share further details about the Wells Fargo settlement at a status conference with the judge on April 8, 2019. The notice goes on to say that plaintiffs expect to file a motion for preliminary approval of the settlement within 45 days. In class actions, settlement notices cannot be sent out to class members unless and until the settlement is approved by the court. The Wells Fargo auto loan lawsuit concerned allegations that Wells Fargo forced borrowers to pay for unnecessary car insurance and even repossessed their cars, oftentimes, if they didn’t pay. According to the lawsuit complaint, Wells Fargo forced this insurance on many borrowers who already had their own car insurance, even though Wells Fargo’s finance agreement only allowed it to force-place this car insurance on borrowers who didn’t have their own insurance. The force-placed insurance, called “collateral protection insurance” or CPI, resulted in significant revenues for Wells Fargo, according to the complaint. Gibbs Law Group has served in a court-appointed leadership role in the Wells Fargo CPI lawsuits.